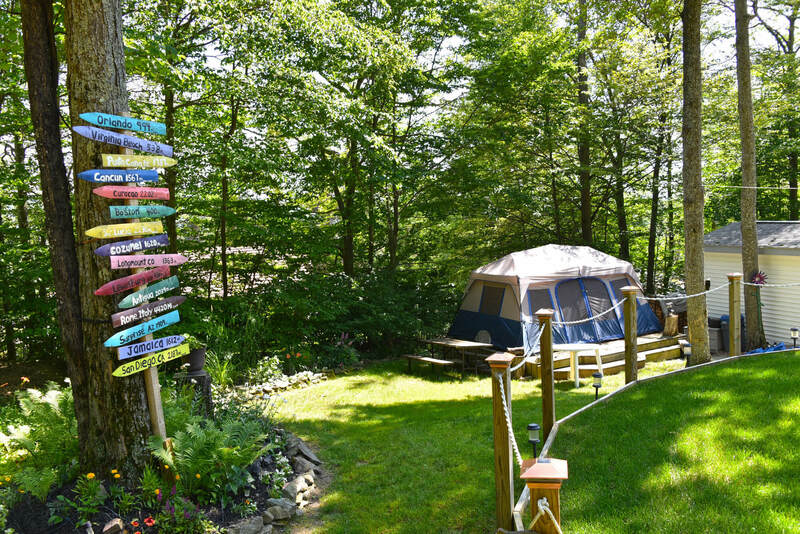 At Allegany Mountain Resort, we have accommodations for every type of camper. Whether you prefer roughing it in a tent, a cozy cabin, or bringing your RV, we have plenty of spacious campsites for you and your family to call your home away from home. We also offer options that allow guests to reserve a different campsite every time they visit, to reserving the same site for a season to completely owning a campsite for years to come. No matter which option you choose, being a member of our resort means you will never have to worry about campsites being all booked up when you need one. Holding a membership means that you have the right to a reservation without having to book months ahead of time – guests can give us a call anytime, even on the same day they want to arrive and a campsite will be ready! Our premier campsites are voted a favorite among members for their spacious accommodations, ease of entry, and location! A permanent campsite allows you to reserve a specific site ahead of time and come and go as often as you like! Campsites for roamers allow guests to make a reservation prior to their visit and be shown to a site upon arrival. This is a great way to explore different areas of the resort and make their visit a little different each time! 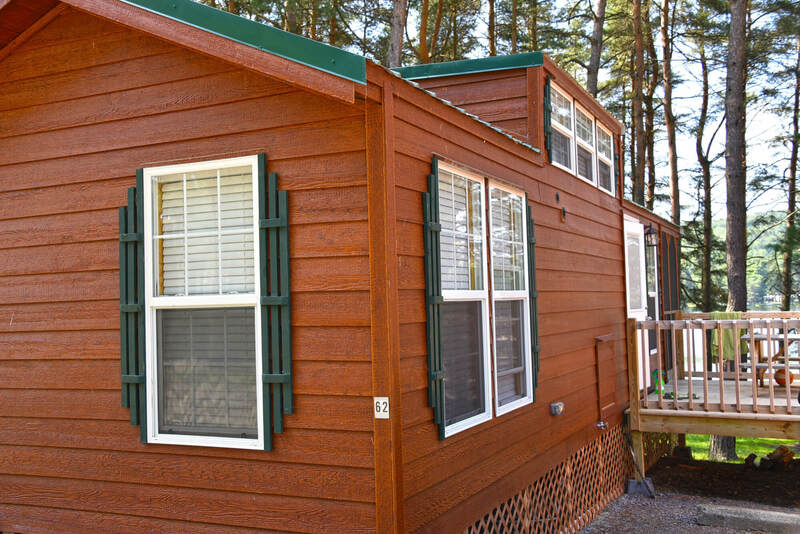 If cabins are more your camping style or you don’t own an RV, we offer fully-equipped and newly built cabin rentals. Choose a one or two bedroom unit complete with a living room, full kitchen, and bathroom facilities. 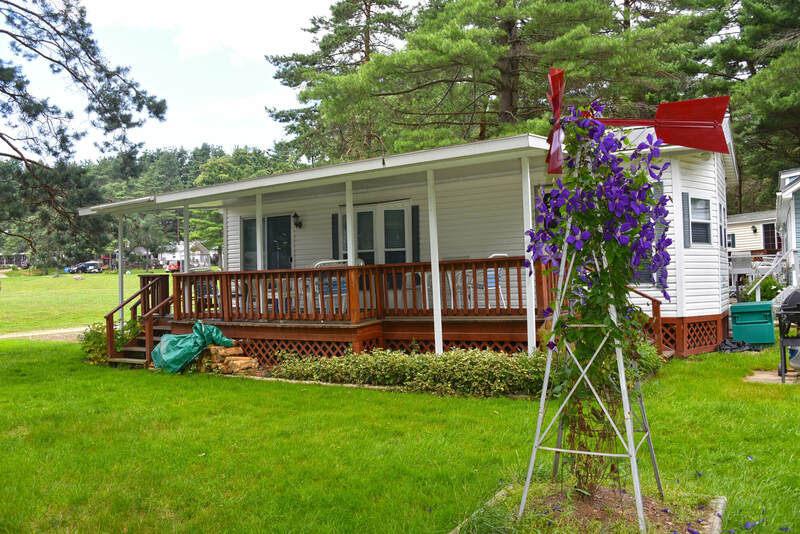 Step out onto the cabin’s deck to enjoy the peace and tranquility offered by Rainbow Lake – just steps from your cabin! 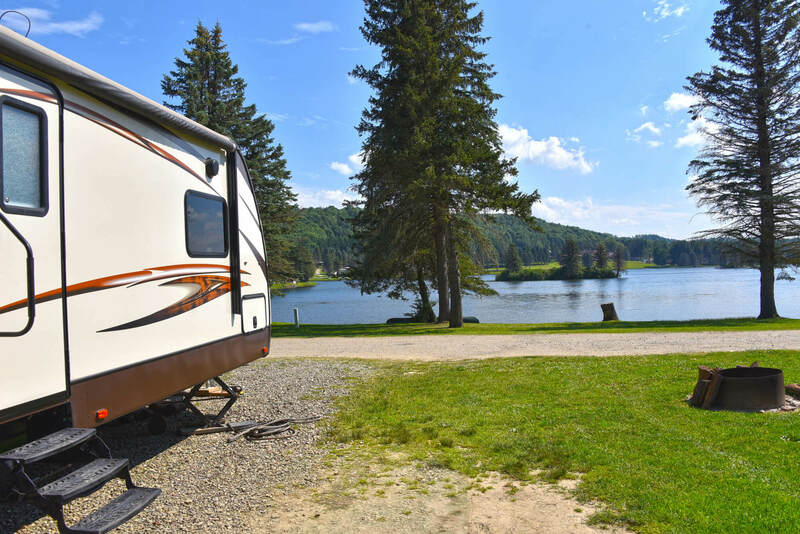 We currently have 735 RV sites surrounding the beautiful and serene Rainbow Lake, as well as hillside campsites overlooking the lake nestled in nature. No matter what type of scenery or level of privacy you prefer while camping, we are sure to have a campsite to meet it. If you’re looking to tent camp, we offer sites all across our 310 acre resort. Get a site tucked away among the trees or a lake-view site surrounded by other campers. Just tell us your preferences and we’ll guide you to the perfect place. Book your visit to receive a free camping trip! Success! We will be in contact with you shortly. © 2019. All rights reserved worldwide.